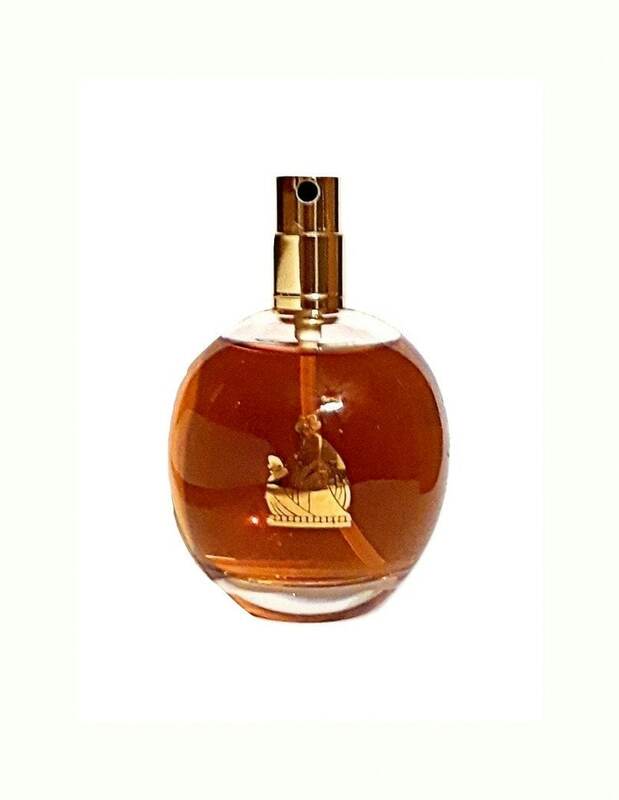 Vintage 1990s Arpege by Lanvin 3.4 oz Eau de Parfum Spray . The bottle is full - please see photo for the actual fill line. The perfume is old and not as fresh as it once was, but I just tested it and it still smells good (powdery) and is wearable. The label is marked "Cosmair" which dates this to at least 1994. The batch code is US021. In 1993 Cosmair's European Designer Fragrance division relaunched Lanvin's classic perfume, Arpege. 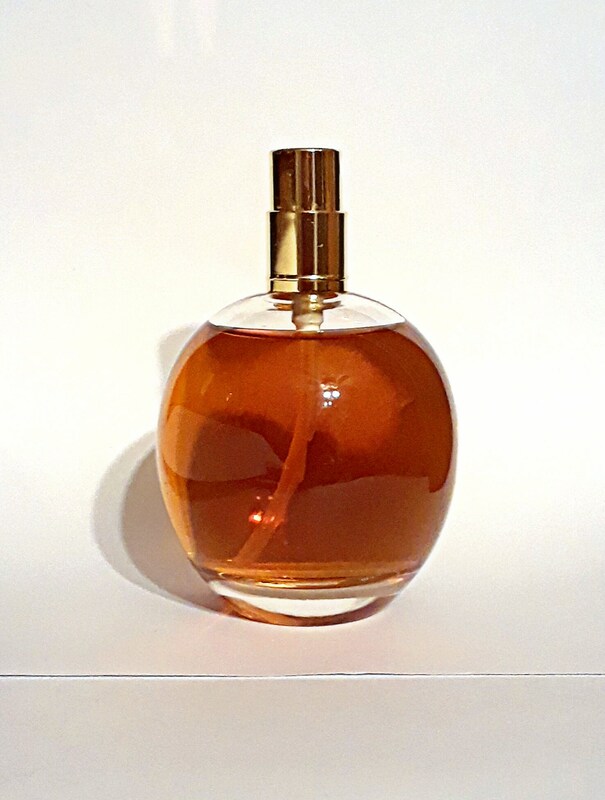 The scent, which had already been available for more than 67 years in Europe, was to be available at 13 I. Magnin, Neiman Marcus and Saks Fifth Avenue doors in the USA, according to Cosmair. "COSMAIR RELAUNCHING ARPEGE IN THE U.S. IN SEPTEMBER with a return to the original formula and quality of the 1927 fragrance, the company said. 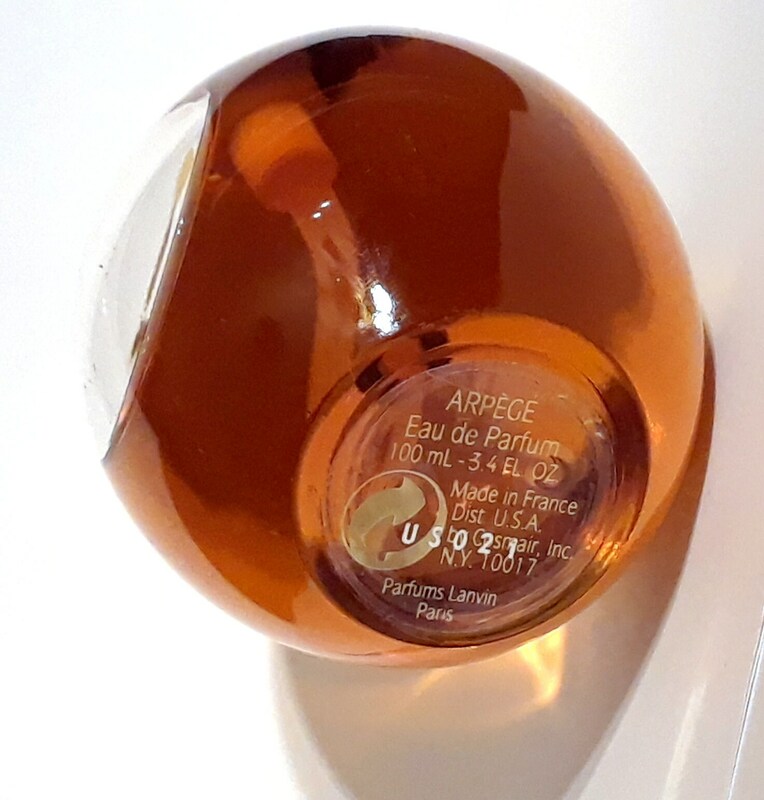 According to Cosmair, Arpege, a Parfums Lanvin fragrance, had gradually come to contain more synthetic ingredients, which cost less, over the years. The revamped formula is composed of over 60 natural ingredients." 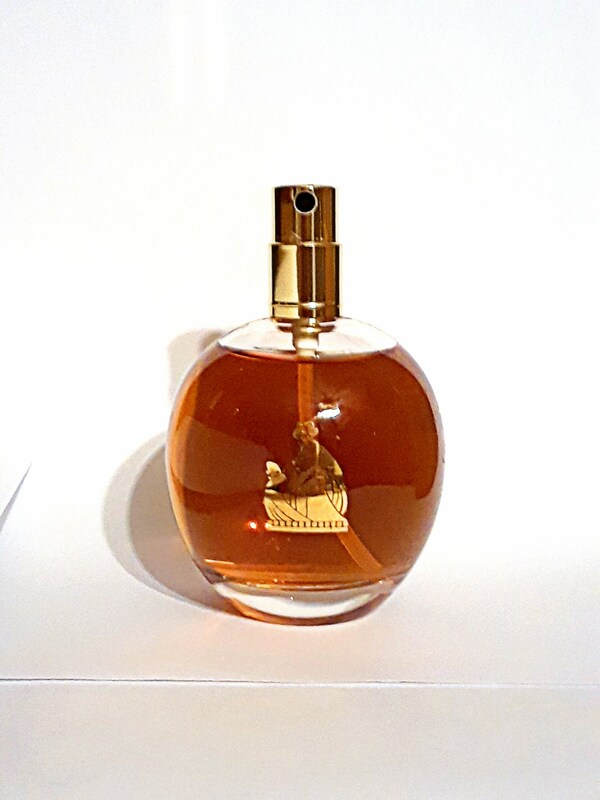 The 1995 issue of New Woman reported that "Industry wisdom has held there's no profit in vintage fragrance (hence the large number of discontinued classics). But Cosmair reports that Arpege is doing quite well, thanks. In fact, it's one of the top women's fragrances in every door where it's sold." However, to my nose, this is definitely a reformulation, it is lighter in character, softer and more powdery than the original, quite a cozy sweater scent and not a powerhouse. Originally launched in 1927, it was created with over 60 natural ingredients and is classified as a floral aldehyde fragrance for women. Eau de Lanvin was an eau de parfum strength concentration.